On a very cold morning in the end of January, the moon and Venus (and Jupiter) were in conjunction. It was too cold to stay outside for long, and I had forgotten that a conjunction was taking place. Almost dawn and it was time to take the trash out. 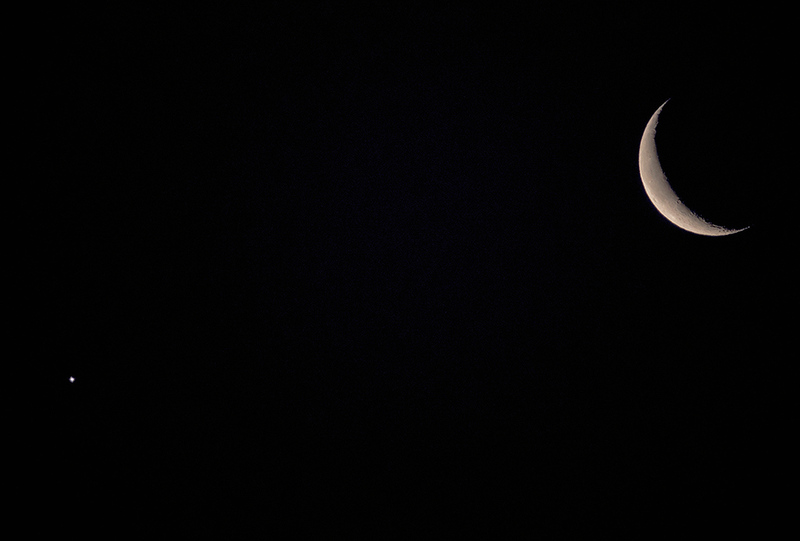 I took a few pictures of the moon and Venus. I like it Winston and I'm glad you braved the cold! The Moon is the little one, right? (Just kidding). I like the composition/ crop you've chosen. It's great the phase of the Moon is so dramatic. Very nice image.